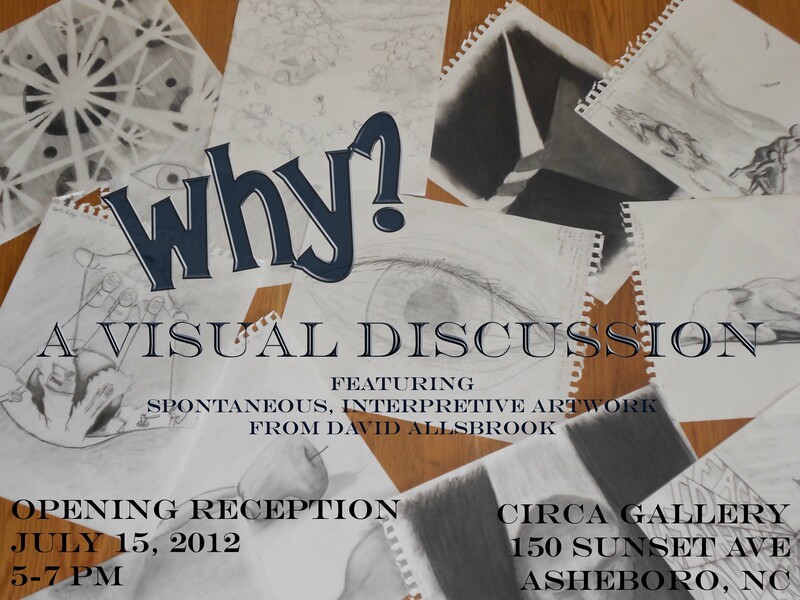 I’m excited to announce I’ve compiled the interpretive drawings created over the last year into an exhibition opening July 15 at Circa Gallery in Asheboro! Captivating images and exhilarating conversation included; original artwork and prints available for purchase! Come out and enjoy a summer evening downtown with great art, music, food and friends! Stop into the Circa Gallery and say hello, enjoy a delicious meal at the Flying Pig, then stick around to enjoy Black & Blue playing everything from oldies to top 40 hits! I really hope you, Amy and the boys can make it too! There’s plenty of room to play in the grass outside the gallery. I’m trying to organize a mini Zen Pimps reunion to play some music during the opening too! HA!